Big Yankee trade, although it seems like they gave up a lot in parting with Rutherford. Yeah, he's probably three years away, and it figures to be a crowded outfield especially if they go after Harper, but they only got a rental so-so corner infielder and two pretty good middle relievers. Big Yankee trade, although it seems like they gave up alot in parting with Rutherford. Say what you want.. but this is why Cashman's a tremendous GM. That trade changed this season. It saved this season. Another clinic tonight. 7th win over the last 9 games.. as the Yanks inch closer to 10 over .500 again. I haven't been following baseball that closely for so long that I really don't know anything about Sonny Gray. Given the young offensive talent the Yanks have at either the MLB level or in the minors, it seems like they can live without Matteo and Fowler, especially if they go all in for Harper after next year. And Fowler hopefully gets more of a shot playing for the A's after that horrible injury. A little worried about giving up Keprelian. They were very high on him coming into the season, and you'd hate to see him turn into the number 1 or number 2 starter. It's all good if Gray is the solid starter he's supposed to be and if he helps them make a deep playoff run. He just strikes me as that kind of guy where the wheels can fall off almost immediately, but my views on that aren't worth much. First place...... in August....... 10 games over .500 -- Nothing else to ask for. Gotta hand it to Cash. He went out and got Frazier, Kahnle, Garcia, Robertson and Gray.... and still managed to keep 4 of the 5 pearls. Let's see what these new additions can do before we go throwing a parade.. but at the very least, Cash put us in a position to challenge Houston. Pretty cool on Cashman's part that he recognized that he could expedite this along without having to give up too much. Good GMs can do that...adapt on the fly, depending on how things are going. 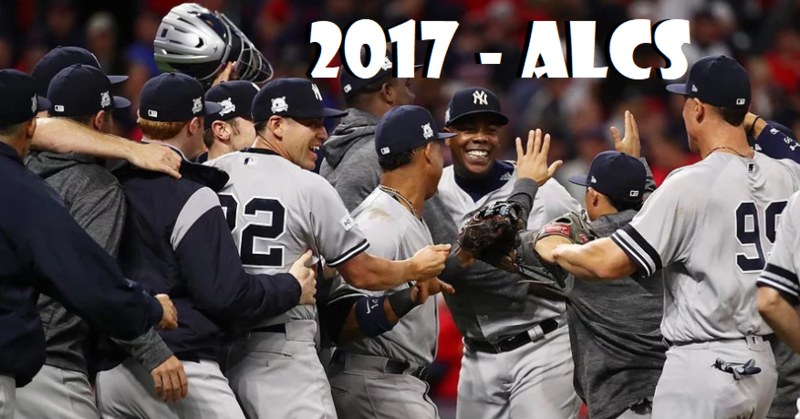 That great start to their season was so key...always nice to build up that cushion so that an extended slump doesn't kill you (9-21 is pretty rough stretch to go through, but no one got hot enough to make the Yanks pay for that). I think he's really shown a lot the past few years...I think he's been more impressive now than he's ever been, really. The "Huh When Did the Season Start" no-creativity zilch masquerading as a GM over at Citi could learn a thing or two from Cashman's last two seasons. Besides Smith and Rosario (both untradeable) do the Mets really have anyone in their system that other teams want? Cashman had that advantage, which took him a long way. Not sure if Alderson ever did, except when he made the trade for Cespedes, which worked out really well. Cashman also had the advantage of being able to sell last year while the Mets were in the playoffs the last two years and had to be buyers. So even if Alderson had the foresight to do what Cashman did last year -- like acquiring Chapman for nothing and then flipping him for Torres -- he really wouldn't have been in a position to caplitalize on it because he couldn't be in the business of acquiring prospects. Yeah, he could have kept Murphy, but even Murphy didn't think he'd be as good as he is now. Bottom line, think you're a little too tough on Sandy. On paper the Mets looked like assassins heading into this season.. trying to reach the playoffs for the 3rd straight year. (how often can Met fans say that?) 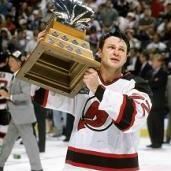 Sandy built a great team that got decimated with injuries. I've never gotten on Sandy for not keep Murph...he wasn't even the Nats' Plan A or B (Nats went pretty hard after Ben Zobrist and Brandon Phillips before "settling" for Murph). No one could've seen Murphy becoming THIS dangerous at the plate...including Murph himself...otherwise, he either would've taken the Mets' qualifying offer as a "gamble on myself" move and then cashed in big, or not jumped at the first chance to sign a multi-year deal that he got. You have to be a Met fan to understand the frustration with Sandy. A lot of fans call him Passive for a reason. There's things he could have tried to salvage this season (not saying they would've worked), and he simply did next to nothing. Jose Reyes did damned near NOTHING for THREE MONTHS...the way he was playing, some teams would have released him after two...but no, couldn't call up Rosario, just to give him a week or two to see if he could help. A good July "propelled" Reyes' season numbers into bad territory (from beyond abysmal), but he's been poor in the field for years now...but that's how the Mets roll. Guys get seemingly endless amounts of chances, and glaring weaknesses are addressed at an often glacial pace (if at all). Not to mention that there's the many trainwreck signings that a "Maverick" like Sandy has made, that were supposed to be bargains at the money they signed for (but who did little, if anything): Francisco Rodriguez, Chris Young, John Mayberry Jr., Alejandro De Aza, Michael Cuddyer...and the bullpen that has had its share of issues and always seems to have its share of issues...no, it's not easy to put together a good bullpen (especially when you have an idiot for a manager who STILL can't figure out how to manage a pitching staff...ask any Met fan about that one), and there's plenty of iffy BPs out there even on good teams, but Sandy has had a lot of BP misfires through the years. Not saying I'd want Omar Minaya back (he has his strengths but his priorities were often misplaced, especially when it came to issues of race), but a lot of what Sandy built was started by Omar...and Sandy got very lucky that two of Omar's players (RA Dickey and Carlos Beltran) bolstered their trade value at the right time (especially Dickey, who won a friggin' Cy Young Award)...Sandy made two moves that brought back nice hauls...obviously, they haven't quite worked out as expected (Wheeler missing two full seasons, and d'Arnaud basically not being very good and looking like he's not going to get any better), but the players coming back made sense...and of course, he pried a real gem away in Syndergaard. Harvey, deGrom, Matz and Familia were all Omar's players. Sandy has done some good things here...no one can say otherwise. Colon was a solid signing that paid dividends, and just as important, Sandy knew when it was time to move on from him. The Mets don't get to the WS without Cespedes, but Sandy's lucky that other moves fell through (he originally wanted Carlos Gomez, which would've been a disaster, and he was very close to bringing Jay Bruce in at the 2015 deadline...neither would've made that same impact as Cespedes in 2015). He also picked up Reed for very little...probably his best BP deal of his Met tenure (Blevins was a solid acquisition as well). Conforto was drafted on Sandy's watch, and after a rough 2016 as a Met, Bruce has played well in 2017 (not to mention that Herrera has shown why Sandy soured on him, when many still felt that Herrera would soon be the Mets' second baseman of the future). But there's weaknesses that never ever seem to get taken care of, and they've been on full display for years. Lots of mediocre to bad fielding. Way too many strikeout-prone hitters. Guys who simply don't get enough damned hits...Sandy seems to value power to a fault, and it's led to an offense that is very much a feast-or-famine, bully up on crappy pitching group, that often looks feeble against anyone good...Lucas Duda was the king of that kind of player...guy took hitting meaningless HRs against crap BP arms to an artform. Couldn't see him GTFO fast enough (his numbers look a lot better than he actually was). Sandy basically re-signed Cespedes and then took a victory lap this offseason. Reyes at third base was a very dangerous proposition. d'Arnaud has always been injury-prone and iffy behind the plate. Walker missed almost 50 games with a bad back last year. Harvey was a big question mark coming into the year, as was Wheeler. Matz missed the last several weeks of 2016, and has always had health issues. Duda was limited to 47 games (and didn't play terribly well) in 2016. It was definitely an IF team with a very high upside if everyone could stay healthy and/or enjoy bounceback years (especially if the young pitchers could all come close to what deGrom's given the Mets in 2017), but one that could clearly have a lot of injury issues...far from being a team of assassins. I was hopeful for about 90 wins going into the season, but the low BA/high K/pretty good HR power bats that Sandy loves to stock up on don't thrill me...Sandy seems to favor power at the expense of ever other thing, and it's time for him to amend that approach...the good news is that both Rosario and Smith seem to be much different types of hitters...they won't replicate their PCL-bloated offensive numbers, but they should bring more dimension to a Met offense that sorely needs it. As far as the Met walking wounded goes, Syndergaard has really been the biggest shock injury (guess the same could be said for Familia), and losing him obviously hurt a ton. But it shouldn't really come as any great shock that this is how it's gone...maybe at how badly it's gone, but the funny thing about injury-prone players is that they tend to keep on getting injured. Congrats to the Yankee fans...did a nice job fighting through an extended up-and-down stretch to go 26-14 in their last 40 and earn themselves a WC home game. 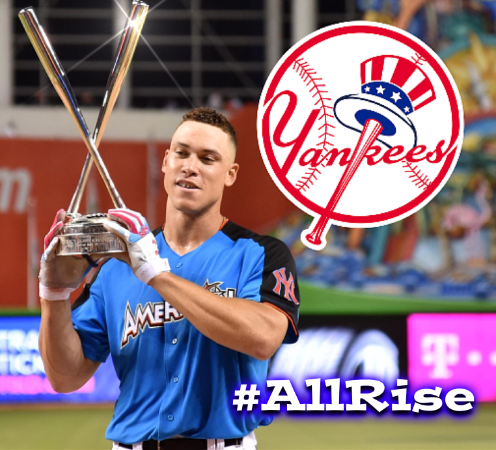 Will be interesting to see how Judge fares should the Yankees win the WC game and move on...the very high-K guys always scare me when they start facing better arms come playoff time. He obviously went through a very difficult stretch coming out of the break, but he's recovered nicely...guy is slashing an insane .328/.473/.970 (1.443 OPS) in his last 20 GP, with 13 HRs. That's about as Ruthian as it gets. In addition to hitting 50 HR, which no rookie ever has done, having people talk about him maybe winning MVP - Judge has had a better season than anyone could have dreamed of, and hopefully it continues into the postseason. Aside from Sanchez' asinine antics in Detroit, this has been a fun group of guys to root for, and I'm happy about the direction we're going. I'm hopeful the Yankees reach the ALDS and make a good fight of it vs. Cleveland or Houston. Anything more than that would be amazing. He's had an amazing first full season in the majors for sure, but I can't give the MVP to a guy who was basically completely invisible for about seven weeks or so. But all the credit in the world to him for not just righting the ship, but then going on a complete tear. Then again I'll admit that I haven't been following the AL enough to know who the other obvious MVP candidates are. I'm curious if Judge will be able to cut down on his Ks in the years to come...he could be one of the top hitters of the next decade if he does. It's an interesting debate - Altuve has been one of the BA leaders this year and has more SB of the two, but Judge is leading him in HR/RBI and WRC+ despite batting horrendously in July/August. It's fundamentally small-ball vs. eye-popping power. I think there will be some recency bias involved in that if the Yankees pull out the division somehow (3 back in the loss with 6 to play, highly unlikely but not mathematically impossible) then Judge will win the MVP, but the likelihood here is that Altuve wins MVP if/when Boston clinches and Judge takes his near-unanimous ROY award (the same BR article has Judge as 0-1 for AL ROY with no other competitors), which is still a hell of an accomplishment for your rookie year. Edited September 26, 2017 by Hi, I'm VALUE! 6th game of the playoffs tomorrow for these rookies. 6 playoff games, to learn and build off of. This series should've been over last night. Girardi may never get an opportunity to laugh about what happened on Friday. But the Yanks can try to exonerate his transgressions tomorrow night, in whats sure to be an insane crowd in Cleveland. Thankfully no real arms were wasted last night for the Yankees.. so Joe should have CC, Gray, Garcia, Green, Robertson, Betances, Chapman.. even Tanaka if need be. It's and all hands on deck. A trip to the ALCS would be amazing.. and a full 2 years ahead of schedule for these kids. It's a shame Friday had to go down the way it did.. because in an alternate universe, the Yanks would be playing with house money tomorrow. Not now though. Now if they lose, fans will wonder what may have been for this squad. What could have been for this team. That's on Joe now. I'm a big Girardi fan, but he has to stand trial. Some mistakes are just unforgivable. Let's see what this team's got. Oh Girardi is standing trial all right, he'll probably pay for Game 2 with his job if they don't win tomorrow. And he got booed about as loudly as I've ever heard any 'home' player or manager get booed in a playoff game two nights ago during the intro (to the point of overreaction imo) so he's certainly on trial with the fans. He made a costly mistake and owned up to it. But fans don't boo popular players who make an error or stink it up, even in the postseason. I'll say this for him, his team has publicly made it a point to respond to get him off the hook. If the players (this side of Chapman) didn't respect Joe they wouldn't care or be apathetic about it. And he is a good manager as I'm sure you know. I'd take him on the Mets, binders and all. There isn't a Met fan alive who wouldn't take Girardi over the Village Idiot. We just saw one of the dumbest managers in baseball the past seven years on the Mets (though he did have some positives). Girardi obviously had a big gaffe and in an odd way it's almost like he would've been better off if the Indians had just swept the Yanks, but he's a good manager. Way ahead of schedule for this team than anyone could've predicted. 4 more wins, and a World Series dance. Can't believe it. This team's got so much heart. LETS GO YANKS!!!! What an unbelievably fun season it’s been. First time since 2012 I watched every single game and recorded the ones I missed. This team is so much fun to root for. tough loss in game 1, but if 2009 taught me anything — losing to the other team’s ace on the road in game 1 doesn’t mean a whole lot. Big game tomorrow before we go to the Bronx for 3. Girardi will not return as Yankee manager in 2018. Francesa (who occasionally does get things right, he has his sources...sawces...here and there) has been hinting at this for a little while. The 1995 parallel is uncanny with Girardi now being Buck and getting fired on the verge of a dynasty. Kind of a joke...what did Girardi do to deserve losing his job? There were those who said that about Terry Collins with the Mets in 2015...I said that the Mets should've tried to bring in a real manager at that point, but some mistakenly credited that moron with leading the Mets to the World Series (any Met fan who saw him on a daily basis can tell you he got in the way far more than he ever helped...he was a first-class dope). Girardi seems like a plenty solid manager to me...yeah, he had that goof in the Indians series (ultimately the Yankees overcame it, mostly because his team seemed to want to win that one FOR Girardi), but I don't feel like he ran his course with the Yankees, or would be holding them back if he stayed on. If the Mets hadn't already hired a manager, and actually were willing to operate something like a big-market team, I would've loved to have seen the Mets take a run at Girardi myself. I was infuriated until I read that it was Cashman's decision. I trust Cashman with my life. He obviously knows whats better for the Yankees than I do, so I'll just move forward and hope for the best. A name to watch that hasn't been mentioned at all -- Al Pedrique. Has a fantastic relationship as a former coach with Bird, Sanchez, Judge, and plenty of young guys who will be studs in the near future.